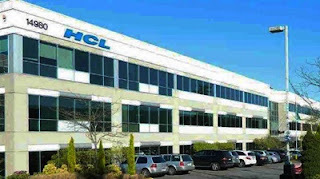 IT services firm HCL Technologies said it expects to hire about 5,000 people this year as part of its 'New Vistas' programme, under which it is setting up centres in smaller cities like Lucknow and Madurai. This, according to the company, will help stem attrition and bring more stability to operations. "A number of people migrate from tier II locations to work in metros. Many of these people would want to go back if these opportunities are available in their hometowns," HCL Executive Vice President and Program Director (New Vistas) Sanjay Gupta told reporters. HCL Technologies had a total headcount of 1,24,121 at the end of June 2018. The attrition for IT services on LTM (last twelve months) basis stood at 16.3 per cent. "We expect to hire about 5,000 people this year under the programme," Gupta said, adding that this will be done across cities including Lucknow, Madurai and Nagpur. The company is also carrying out a mega recruitment drive at its Noida campus on August 4-5 under the programme. This will be open to Delhi-NCR residents only. Under the programme, HCL Technologies will offer employment opportunities to engineering and non-engineering graduates as well Class XII pass-outs. "Fresher candidates who meet the eligibility criteria will undergo fee-based training (ranging between Rs 1-2.5 lakhs) on technical skills and post completion of training, they will be absorbed in HCL Technologies," Gupta said. This training will be provided by HCL Training and Staffing Services (HCL TSS), a subsidiary of HCL Technologies. Selected candidates will work across application development, testing, IT maintenance and support.